The 15th March 2015 is a day that has gone down in history as one of the darkest moments for Pakistan’s Christian community. The events that unfolded were cruel acts of terrorism and even today there are still victims suffering their awful consequences. As mass was held in two separate churches in Youhanabad on that fateful date, two terrorists decided to destroy the peaceful Christian worship and take human life into their own hands. First they opened gunfire on innocent churchgoers, before blowing themselves up and causing the death of seventeen innocent people, wounding eighty more in the blasts. In the aftermath of this deadly attack two Muslim citizens were also murdered. 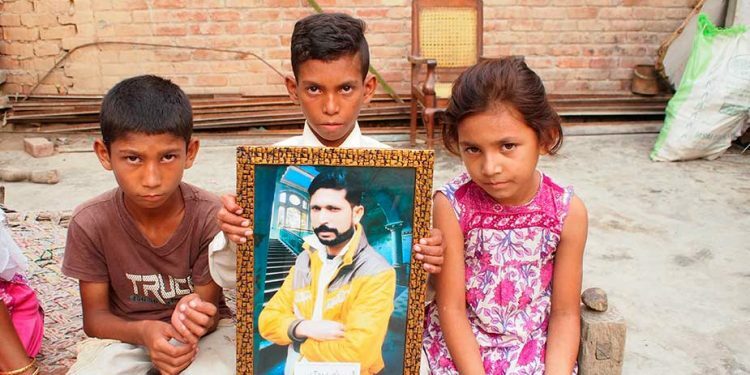 With no one to accept the blame for these murders, the Pakistani police responded with violent fits of anger and detained over 100 innocent Christians without proof. They accused them of lynching the two Muslims. Some detainees were later released on bail, however 42 of them were charged with murder with intent under Pakistan’s Penal Code section 302. These charges were completely unfounded as there was no evidence on which to base them. Arrests had been made without substantial proof or witness testimony. One young Christian who was unrightfully detained by the police was Indrayas Ghulam. His arrest had a ripple effect on his family as in his absence his wife and three little children suffered dreadfully. Despite their hardship they nursed small hopes that one day their father would return to care for them and clear his name. However these hopes turned to ashes when Indrayas died of apparent tuberculosis aged 38 years old in Kot Lakhpat Jail. Up until his death he had spent one and a half years in detention for a crime he did not commit and was never cleared of. 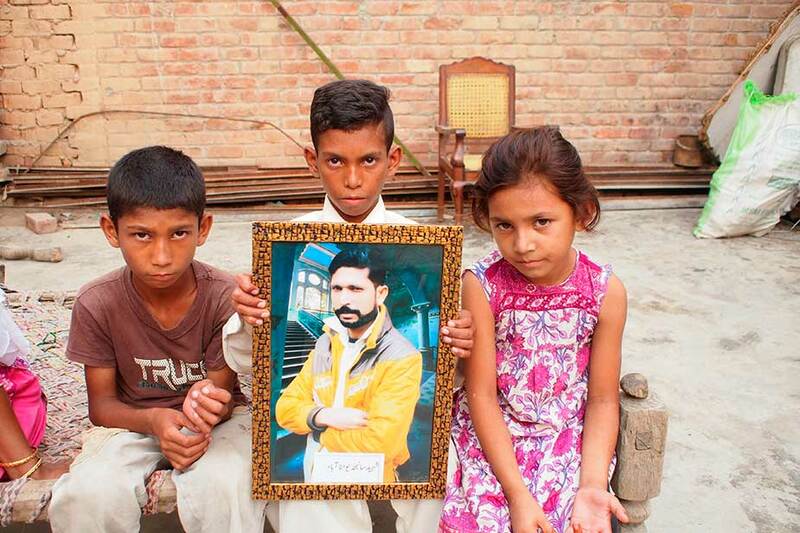 “My husband was caught in Youhanabad´s lynching incident. Although he wasn’t involved in it yet he was charged as a terrorist and involved by authorities in many more cases which are not even proved whether he is a criminal or not. And they kept him imprisoned for 2 and a half year. He wasn’t given the treatment, was tormented and tortured. And when he passed away then I was informed. They didn’t inform me when he was in a critical situation that your husband is ill, I requested them to provide him with the treatment from outside and that I want him to get treated but no one heard me. They didn’t even tell me that he passed away. How could I know when he died? From 2 and a half year I was running back and forth for my husband. I borrowed loans, I kept my children underfed with the hope that their father will return home. They (The authorities of Pakistan) did their best so that he may lose his life. He was detained in solitary confinement so that he may die of suffering. He was tortured physically and mentally. They said he had a heart attack although he wasn’t a heart patient. The remaining (imprisoned Christians) are going through the same sufferings. Before they used to be in one place but now authorities have separated them in small cells. 41 innocent Christians from Youhanabad are still being detained in inhumane conditions without any possibility of having a fair trial. Let us pray for them and speak out on their behalf so that they may return to their homes alive and well. Amen.